MBDA has reported progress with the anti-ship missile being developed with Anglo-French funding. 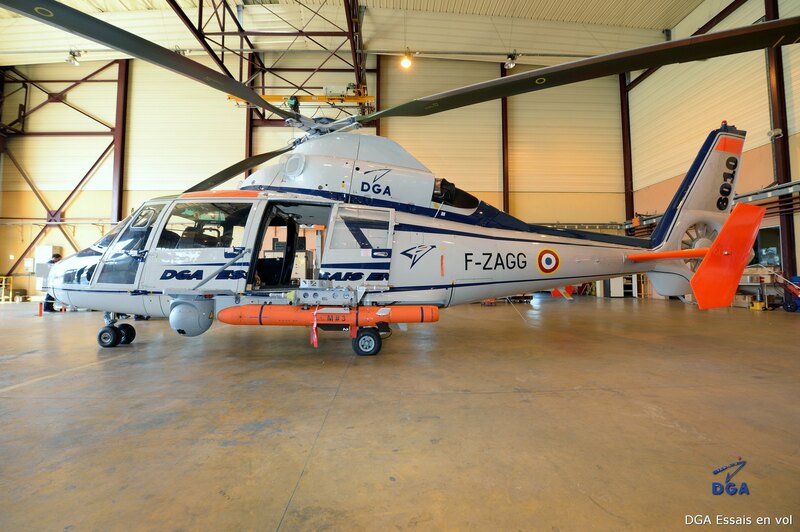 The Sea Venom, also known by its French acronym ANL, was fired for a second time from an AS365 Panther helicopter operating on a test range in southeast France. The missile will replace vintage Sea Skua and AS15TT anti-ship missiles carried by British and French navy helicopters respectively. Frank Bastart, head of the Sea Venom/ANL program at MBDA, said that the second developmental firing was a complete success. “We have now tested a range of the missile’s capabilities, and it has performed to the very edge of its operational envelope,” he added. The Sea Venom is a sea-skimming missile that can fly for about 20 km at high subsonic speed. It has an imaging infrared seeker that provides “fire-and-forget” capability. However, it has a two-way datalink that allows human control and re-targeting inflight, if required. In UK service, the missiles will be carried by the Navy’s AW159 Wildcat helicopters, while France will operate them from its future Light Joint Helicopter (French acronym HIL). They are designed to attack fast-moving patrol boats, corvettes and coastal targets. Up to four could be carried by a medium-size helicopter, such as the NH90. MBDA was awarded the production contract for Sea Venom/ANL—then still known as the future air-to-surface guided weapon (FASGW)—in March 2014. The joint program is the first to take full advantage of mutual dependency arrangements agreed under the "One Complex Weapons" initiative designed to consolidate the Anglo-French missile industry around MBDA. This pact was first conceived in the 2010 Lancaster House treaty and finalized three years later.